Norway must identify potential offshore oil and gas reserves near its northern maritime border with Russia to better protect its economic interest in the remote Arctic region, energy minister Terje Soeviknes said on Wednesday. "We need to start the discussion about what to do in the far north. We see a development on the Russian side of the border, where they are drilling and likely will find oil," Soeviknes told an energy conference in Sandefjord. "If they come across a big find that straddles the border, we must be prepared to do our utmost to secure Norwegian economic interests ... This is why we must continue to map out these areas." 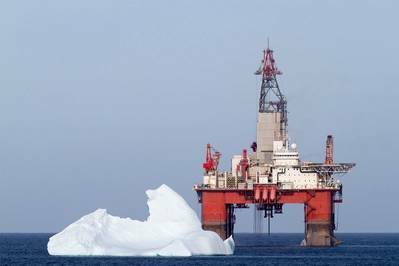 The Norwegian Petroleum Directorate (NPD) estimates that Norway's part of the Barents Sea holds nearly two thirds of the Nordic nation's yet-to-be discovered offshore resources. Norway is western Europe's largest producer of oil and natural gas but but a drop in output is expected from the mid-2020s unless significant new discoveries are made.